As I said in the previous post, my plans for today were to make the "X-back dress" that I showed you my drawing of. You cannot imagine how many times I pin pricked myself during the making of this dress, because that number is at least over twenty! It seems to be coming a nasty habit of mine.. 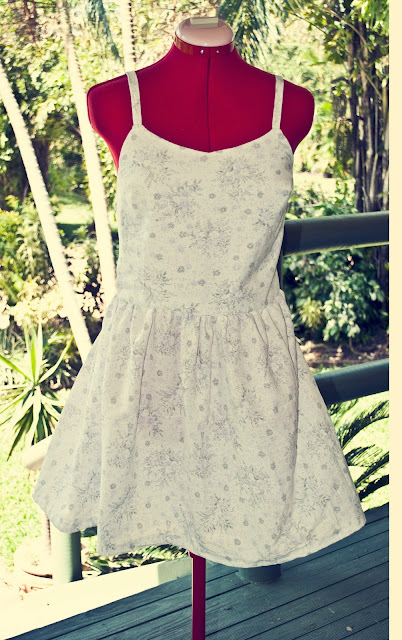 I used a vintage fabric for this dress that I found in a bargain bin. 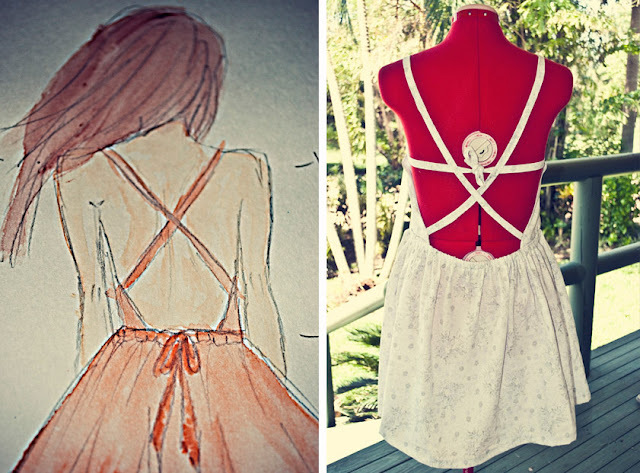 I have a great interest in designs with interesting backs, which is my inspiration for most of my clothes that I make. 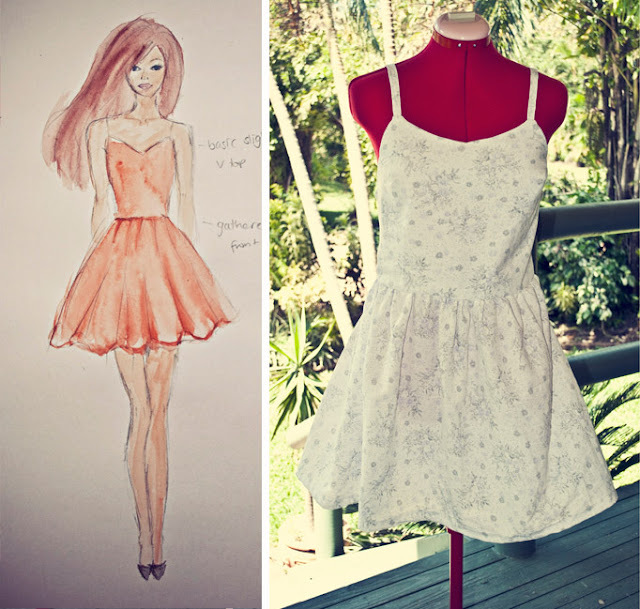 I would describe this dress as girly, and for those who like to stand out. 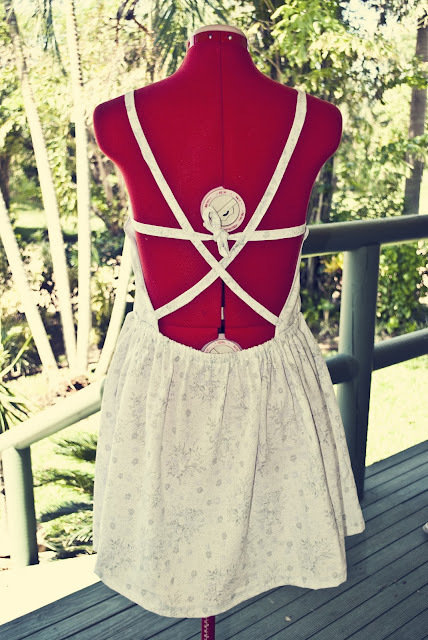 The back of the skirt is cinched at the waist using elastic so it is easy to fit into, hence the no zip! It will fit about a S/M/L. The size is quite variable. I will be selling this dress at the Cereal Box Launch on the 25th of February!! So if you would like to buy it, pop in and check it out! Hope to see you at the launch!